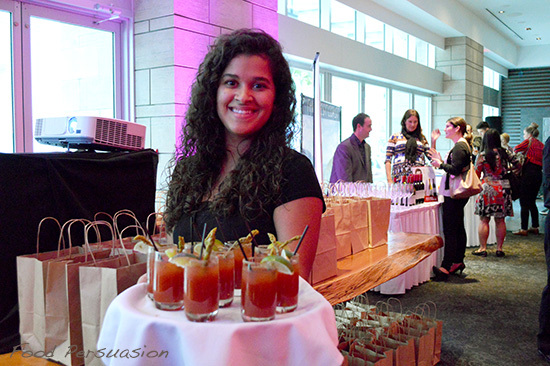 The Prestons Taste of Canada event was an industry and media reunion for me. 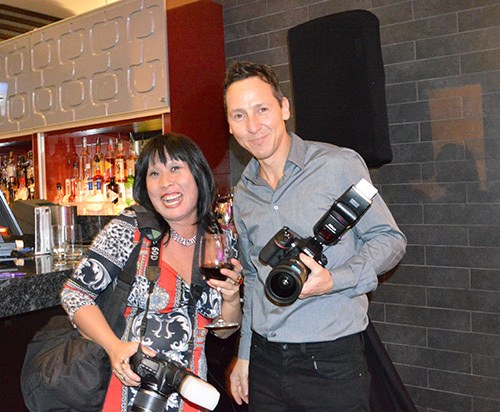 People I haven’t seen for months gathered to preview Prestons Chef Bruce Nollert’s newly launched Canadian inspired menu.This new menu features classic comfort dishes with a modern twist and locally inspired ingredients from each province. 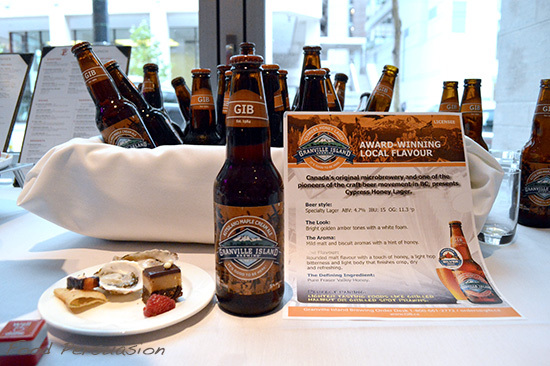 Each province’s menu was paired with selected beers from Molson Coors (Nope, not Coors light). 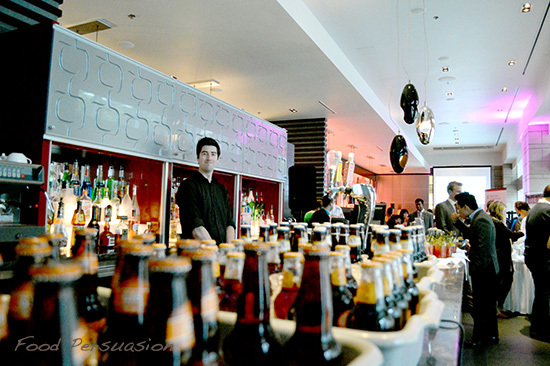 Molson’s has a huge portfolio of beer brands, from Creemore, to Granville Island Brewery and Rickards. 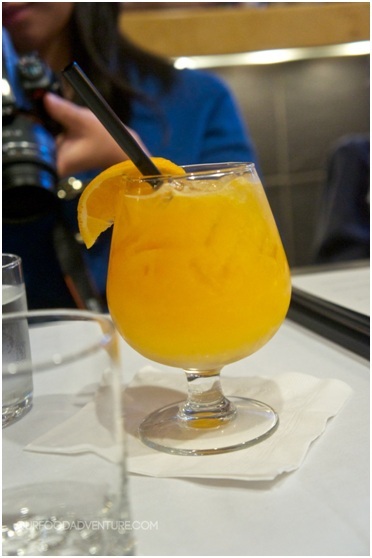 We were greeted by a lovely server, I fall in love with people who serve me a great cocktail with a smile. 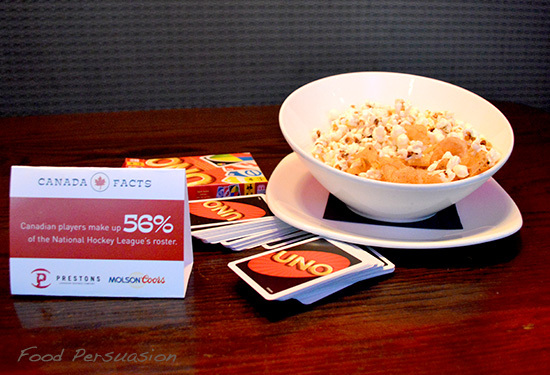 The restaurant was littered with cool Canadian facts alongside, their bowl of popcorn and truffle chips. DAMN those truffle chips, I think I demolished a whole bag that night. So I will randomly incorporate some fun facts throughout this post. 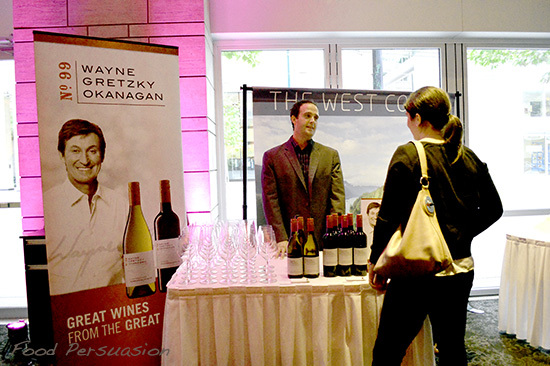 The Westcoast: Fresh Oysters paired with Wayne Gretzky endorsed wine from the Peller winery in Okanagan. I can always be found at local Happy Hour’s buck a shuck, sipping on some wine with a dozen oysters in front of me, so it’s not a surprise I loitered for more than an hour around this table. 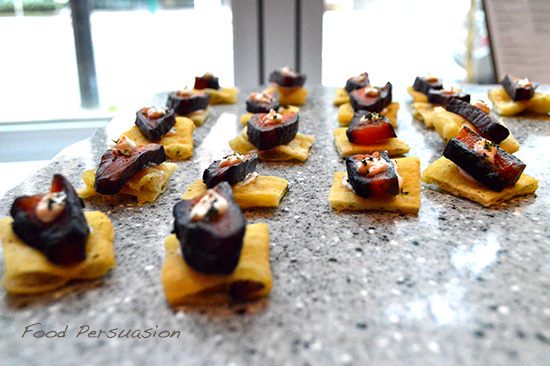 Followed by house cured blueberry salmon on rosemary bannock and finished with Nanaimo bar with hazelnut Ganache. The Westcoast course menu was paired with Granville Island Honey Lager. Nothing spells Westcoast like a honey lager on a nice sunny day! This GI honey lager does a good job of balancing its subtle sweetness with a light hop. 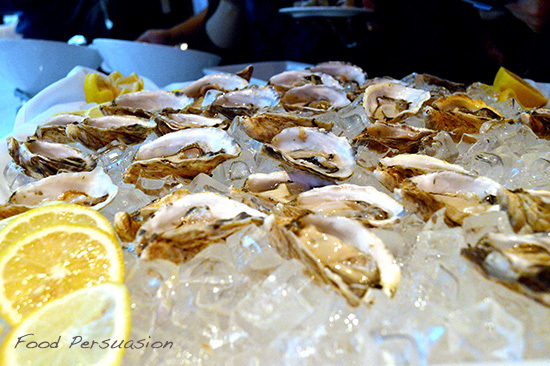 It complemented the sweetness of the fresh oysters and cured blueberry salmon quite well. 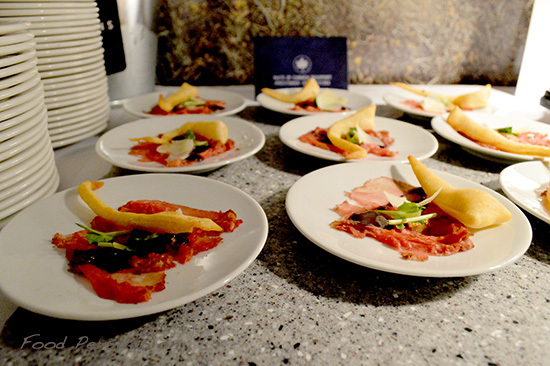 The Prairies: Peace River Bison carpaccio with crisp bannock and pierogies with crème friache. I am still trying to figure out how pierogies associate with the Prairies. Paired with Rickards dark English-style porter ale. This is a rich and creamy porter weighing in at just under 5% abv. Its medium body ale with dark malts of chocolate and caramel balanced out with a slight hop. The creaminess of this brew worked well with the bison carpaccio and pierogies. 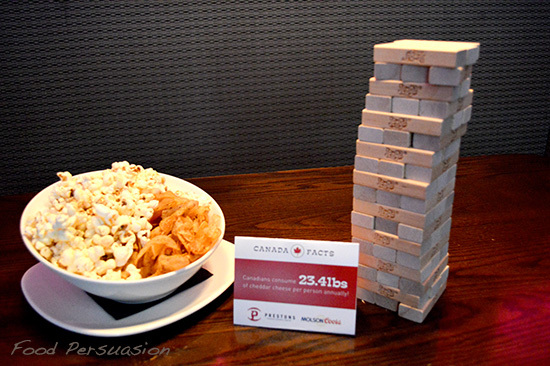 Canadians consume 23.41lbs of cheddar cheese per person annually – WTF?? 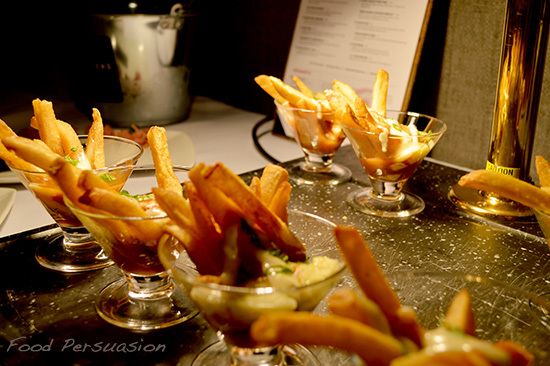 La Belle Province: Poutine with Granville Island maple cream gravy, my favourite the trio. 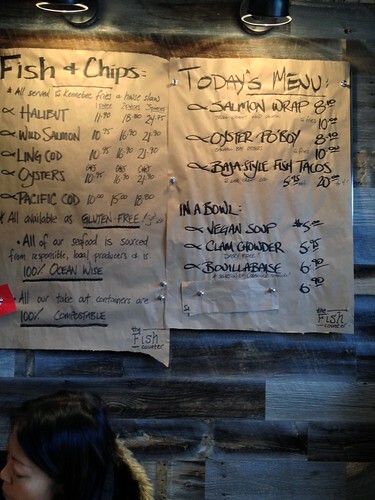 Montreal smoked meat on bagle chips with Dijon aioli and house-made butter tats. Traditional brown ale that pours dark orange but has a light to medium body. You can taste hints of the caramel and dark malts which paired especially well with the richness of the butter tarts. 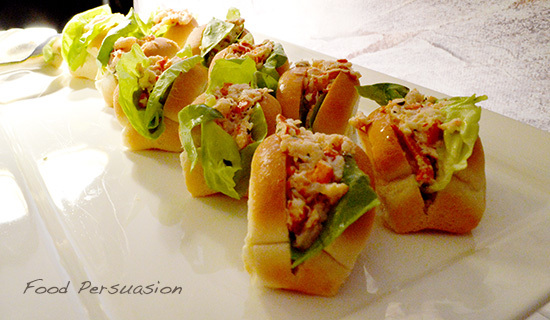 The Maritimes: Lobster Rolls, it seemed to be everyone’s favourite. Prestons kept on running out of it. We tend to be a greedy bunch if we like something. 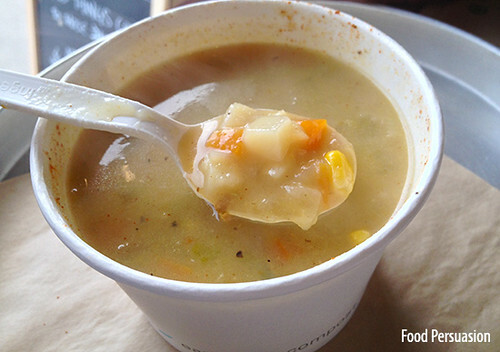 Traditional seafood chowder and blueberry grunts. 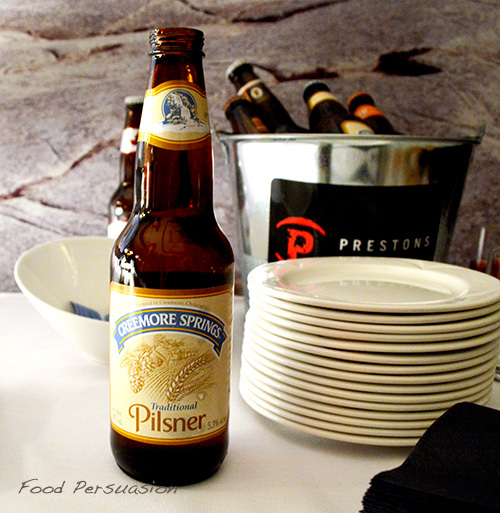 Beer pairing was Creemore Springs Pilsner. A refreshing pils with a slight floral hop to it. It’s smooth on the palate with a dry and slightly bitter finish. You want something lighter and crisp with seafood and this pilsner was a big winner with the lobster roll! 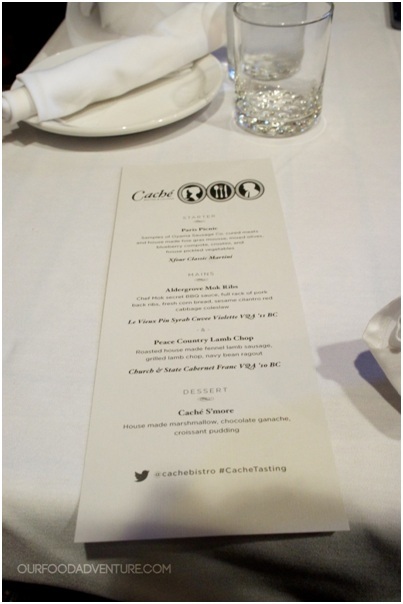 I had the pleasure of tasting Cache Bistro’s new fall menu last week with several other bloggers (Scott from WFLBC, Amy from Food Queen, Jen from Mashed Thoughts, Mary from MaryinVancity, Robin from eatwith.RobinLeung, and Amy from PopcornMedia). Right from the outset, were greeted by Zoey, the manager of Cache. She passed us the tasting menu for the night and told us a bit about the restaurant. Cache is Chef Alex Mok’s debut restaurant. 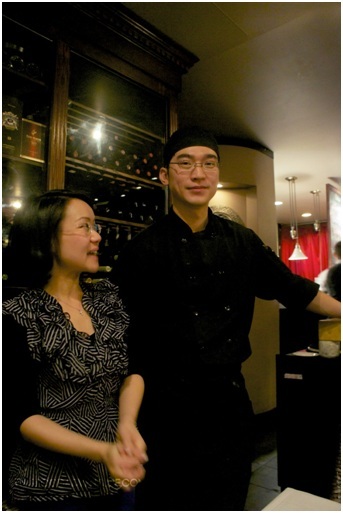 Born in Hong Kong and raised in Vancouver, Chef Mok has worked in several prestigious restaurants and worked under the private chef of the late King Leopold of Belgium. With Cache, Chef Mok aims to marry classic French cooking with unique Asian flavours. 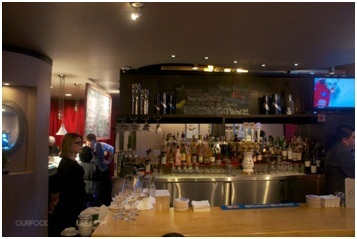 It looks pretty small from the outside, but Cache Bistro has a spacious interior. I would say the restaurant’s décor has some European flair. 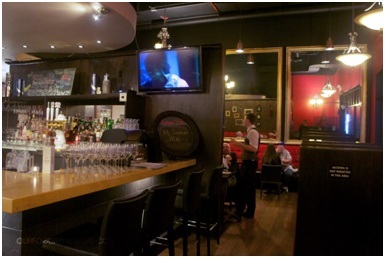 Cache has a big bar area and seating space for larger parties. 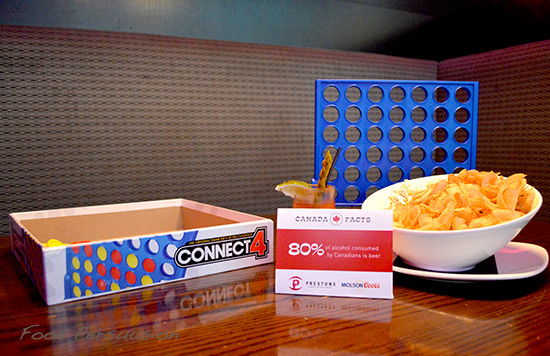 On the other side of the bar, there are booths and smaller tables. The spacing was a little tight, but it works. It’s sort of cut off from the other patrons, which I think makes it a really nice space for a birthday event or group dinner – you don’t have worry about ruining someone’s date night! They’ve got plenty of booze available here! We didn’t get to try any, but Cache also has German beer on tap. Here’s the tasting menu for the night. The front lists the dishes that we got to taste. 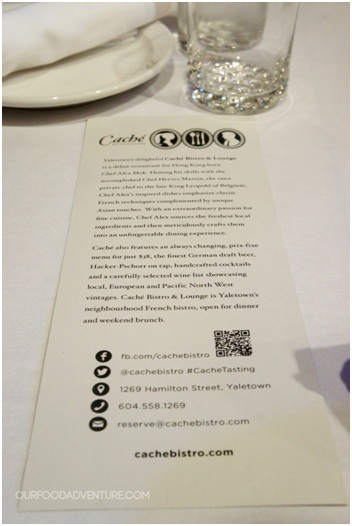 On the back, there is a description of Cache and Chef Mok’s background as well as some contact information. 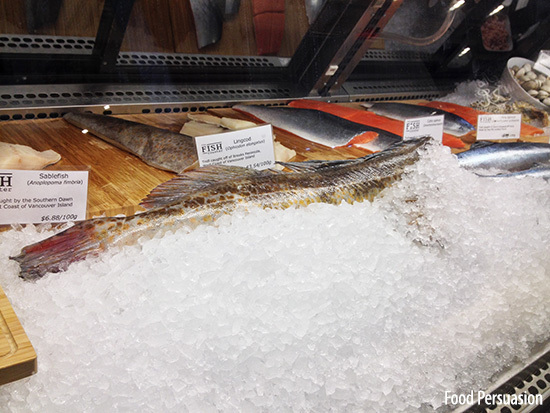 We also got to take a look at their new fall menu. 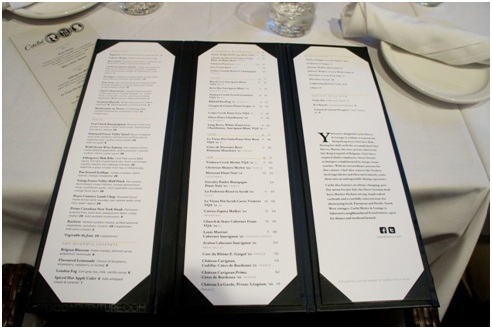 It looks like there’s tons of stuff on there, but it’s really because they combined the drinks menu with the food menu. Cache serves a lot of different wines, cocktails, and beers, so the menu looks very packed. The first thing we started with was booze! Cache’s expert bartender whipped up some Xfour Classic Martinis for each one of us. I had mine with a twist. 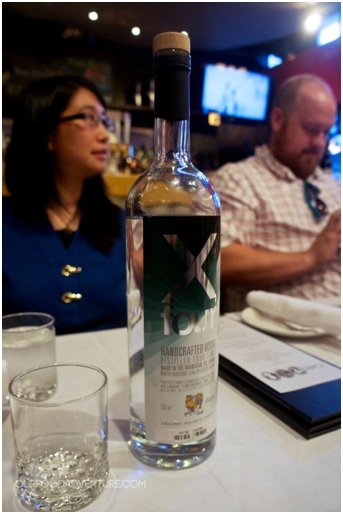 This martini used Xfour vodka. 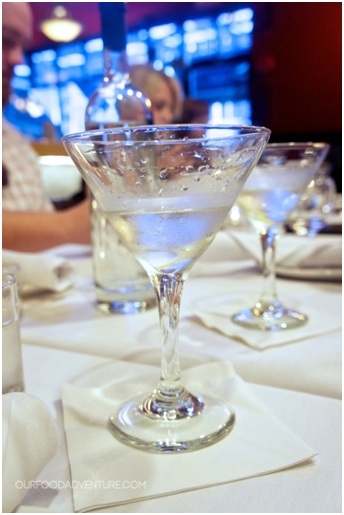 Never heard of it before, but the martini was really smooth. The vodka seems pretty similar to Grey Goose. Jen from Mashed Thoughts doesn’t drink, so Cache prepared a virgin cocktail for her instead. 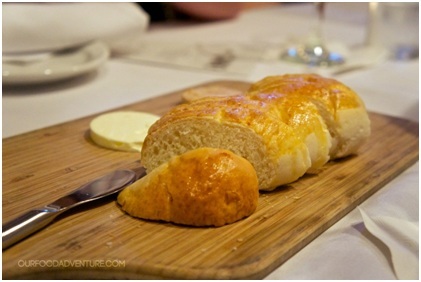 Immediately following the martinis and drinks, we were served some bread. The bread was good, but the real kicker is the two butters accompanying the bread. The first butter is a truffle infused butter and the second butter is a peanut butter butter; they both have the consistency of whipped butter and are made in-house. The truffle butter is very light and delicious. The truffle flavour was much more subtle than I expected. With the peanut butter butter, it was out of this world! Never had anything quite like it – the flavour is reminiscent of peanut satay sauce that one would find with hotpot dishes. 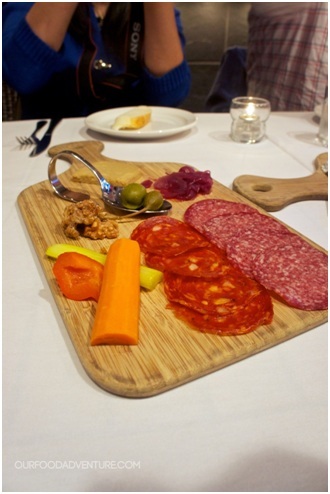 The starter that we got to sample was the Paris Picnic, which included samples of Oyama Sausage’s cured meats, house made foie gras mousse, mixed olives, a blueberry compote, crostini, and house pickled vegetables. 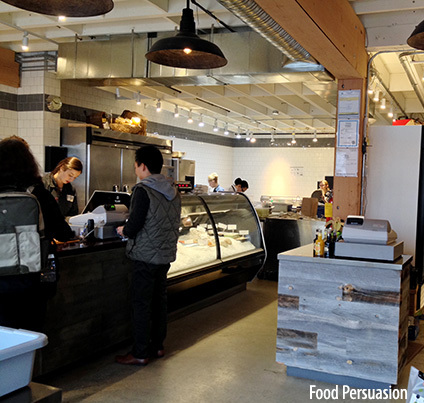 Oyama Sausage is based in Granville Island; I’ve never had their meats before, but they were spectacular. 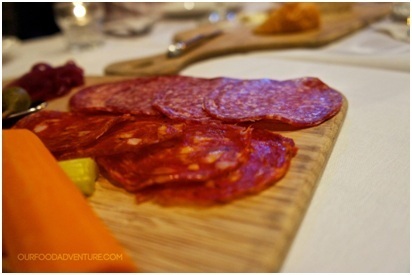 Unlike some of the cured meats I’ve tried before, Oyama Sausage’s were not overly salty and had a really fresh taste. 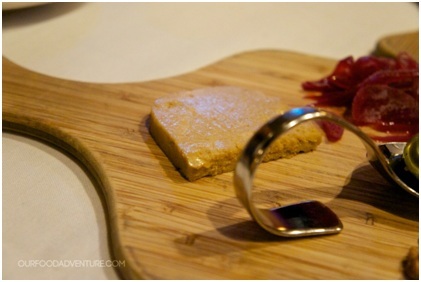 The fois gras mousse was really interesting. 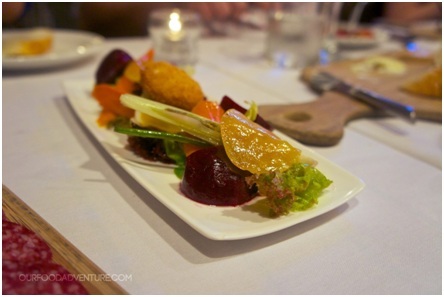 I’ve never had fois gras before so I didn’t know what to expect. It had a really creamy texture and a decadent duck aftertaste. The rest of the plate was good, but nothing else stood out. Amy from Popcorn Media is vegetarian, so Cache served her a house salad. I have no clue what’s in it, but it sure looks pretty and delicious. The beats were apparently really good. I forgot this handsome chap’s name, but he was a really funny host. 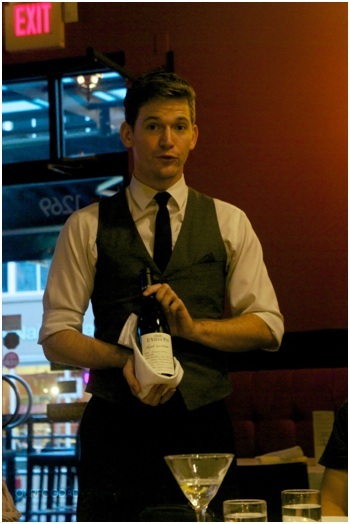 After the starter, he introduced the wine that would be paired with our first main. 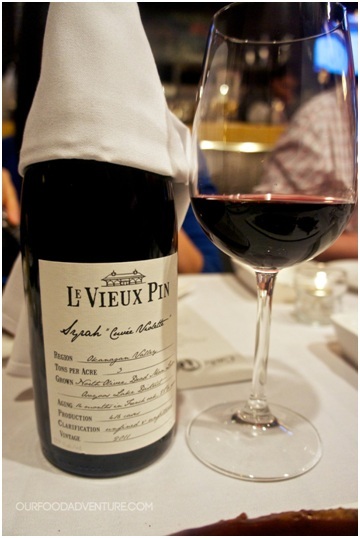 Le Vieux Pin Syrah Cuvee Violette VQA ’11 BC was the red wine paired with our first main, the Aldergrove Mok Ribs. I’m not much of a wine connoisseur, so I’m not even going to try and describe it. I just know that it paired really well with the ribs! 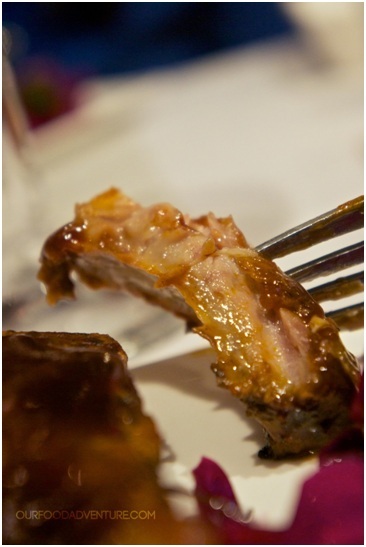 The Aldergrove Mok Ribs is a full rack of pork back ribs cooked using Chef Mok’s secret BBQ sauce. Accompanying the ribs is a side of sesame cilantro red cabbage coleslaw. 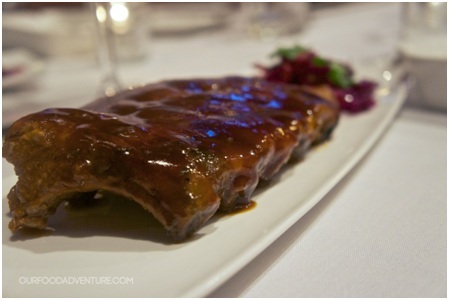 Described to us as the best ribs in town, I was pleasantly surprised to find that the ribs were indeed really damn good. 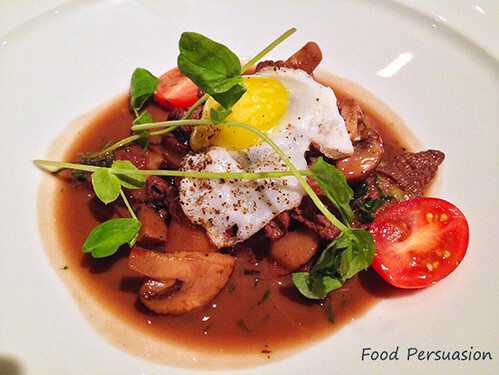 Chef Mok’s fusion of Asian flavours was clearly portrayed in this dish. 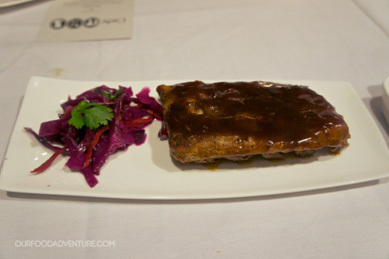 The ribs were a tad on the sweeter side from the sauce’s incorporation of (what I think to be) hoisin sauce. They were also fall-off-the-bone tender. The slaw was phenomenal – the taste is incredibly similar to Chinese pickled daikon. I’m certain this slaw was the best I’ve ever had and likely will ever have. 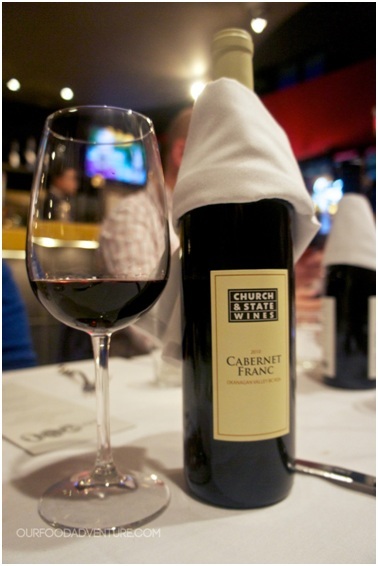 Moving onto the second main, we were served Church & State Cabernet Franc V2A ’10 BC as the wine pairing. The flavours of this wine were much bolder, so I could make out the lingering spiciness. I remember hearing some of the others mention notes of vanilla and citrus. I thought it paired really well with the Peace Country Lamb Chop, which was a grilled lamb chop with navy bean ragout and a roasted house made fennel lamb sausage. 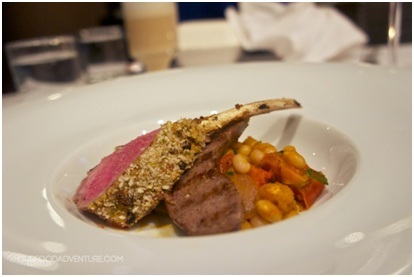 I really like lamb, so to see a dish with both a lamb chop and lamb sausage had me pretty excited! The chop had a great sear and was incredibly tender. Excellent lamb flavour and a nice horseradish kick. 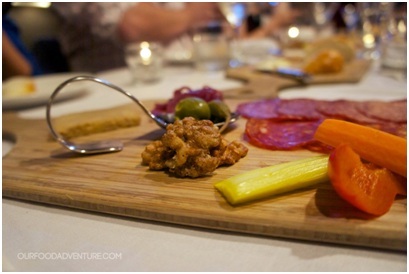 Cache’s house-made sausage was a real winner; I’ve never had such a good tasting lamb sausage. It was packed with lamb flavour! 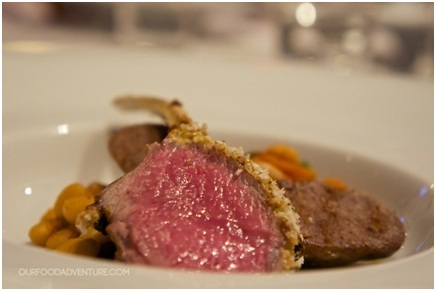 Unfortunately though, the bean ragout didn’t appeal to me as much as the lamb. I found the beans harder than I’m used to – it’s more of a personal preference thing though. Finally after the mains, we reached the pièce de résistance – dessert. We were served the Cache S’more, which had house-made marshmellow, chocolate ganache, and croissant pudding. There’s only one word to describe this marshmellow – perfection. It was super gooey and delicious. Visually, this dessert was also really beautiful. 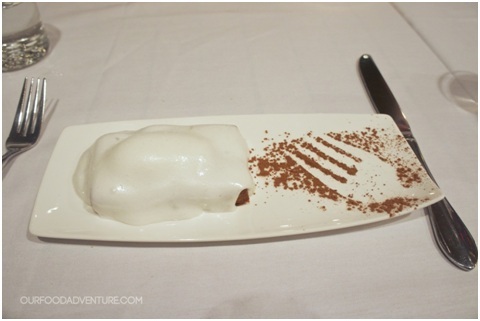 The dessert is just bordering on being too sweet, but it straddles that line pretty well. Having this with a cup of black coffee was just the perfect way to finish up the meal. Everything was at the perfect level of melty-ness. 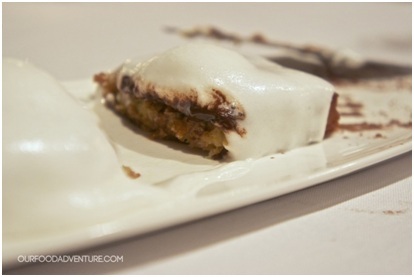 If you’re into s’mores or gooey food, this is the dessert you should try. To finish off the night, Chef Mok came out and briefly chatted with us about his menu. He seems like a cool guy. 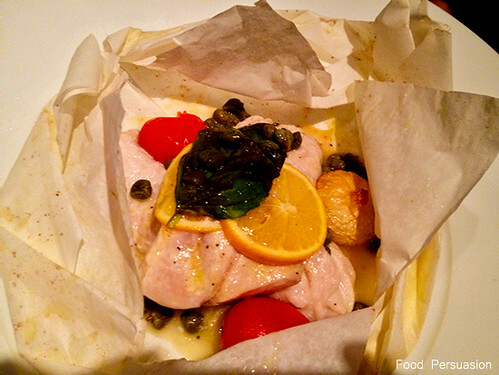 Overall, Cache Bistro & Lounge serves up some real quality food. It’s by no means a cheap place to go to, but it’s definitely a fabulous place for great food and drinks. 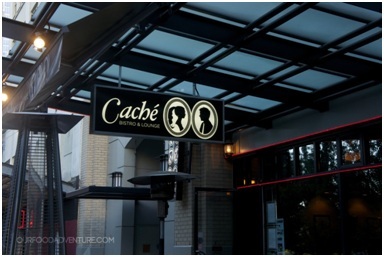 I’m putting Cache on my date-night list!